Would you like the flexibility of not having to wear your glasses sometimes? Contact lenses can give you the the freedom of not having to wear glasses, if you don’t want to. Nowadays, almost everyone can benefit from contact lens wear. Most eyesight problems can be corrected with contact lenses, which are simpler, more convenient and more comfortable than ever before. There are no age limitations – there are lenses suitable for children and older wearers, who require distance and near ‘multifocal’ correction. Contacts can be worn full time or just occasionally to suit your lifestyle needs. The choice is yours, but we are here to talk you through the options and lenses available for you. We will show you how to handle and care for your lenses and ensure you are completely comfortable and confident with them before you take them away. We are members of the British Contact Lens Association. 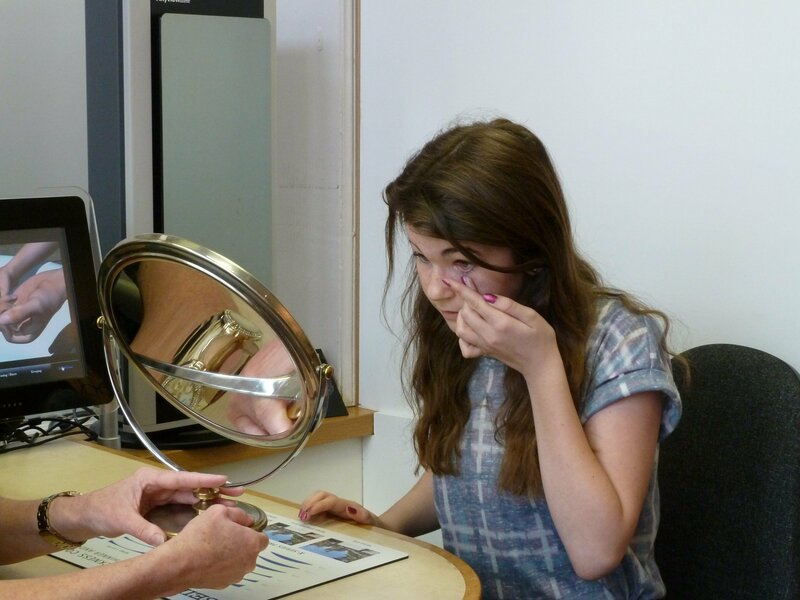 Details about our contact lens examination fees can be found here. For a video on safety tips when using contact lenses click here. If you would like to understand the suitability of contact lenses for you or discuss your current options, then contact us now on tel: 01937 583278 or book an appointment today.